Philip Veale Photography: End of the day in the Brecon Beacons. 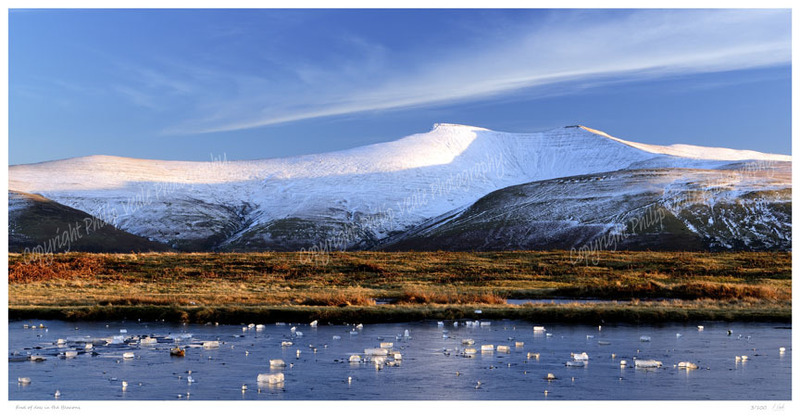 This image shows Pen y Fan and Corn Ddu from Mynydd Illtyd at the end of a very cold and clear winter's day. Print only size including border 24.5" x 12.75"